From ants to rats, we handle your smallest and biggest pest problems. Reach out for a free quote! When you hire a team of pest control specialists, you want to see lasting results. The last thing you want is for the problem to come back again and again. 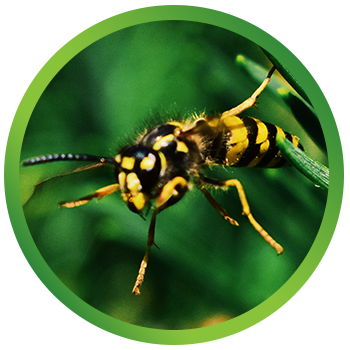 At Earthwise Pest Management, we use a method of pest control that limits the use of harmful pesticides while preventing future pest infestations. Keep reading to learn more about our pest control method and services! Earthwise Pest Management has been serving the Greater Sacramento region for years, including the beautiful Granite Bay area. As your pest control company, we are committed to providing homeowners and business owners alike with pest control services that actually work. The region we live in is susceptible to just about any pest you can think of, including ants, moths, wasps, rodents, termites, and more. Keep reading below to learn more about our residential and commercial pest control services in Granite Bay. No one wants to discover a termite infestation in their home. Unfortunately, most homeowners will deal with termite issues at one point or another. Termites are typically a silent infestation, and many people do not realize they have them until there is a major issue. Having a termite inspection performed every couple of years is highly recommended so you can catch an infestation early. Our Granite Bay termite control specialists can perform a thorough inspection and, if an active termite infestation is found, we can take action. Even the cleanest homes can get bed bugs! Bed bugs often enter your home by hitching a ride on your luggage or clothing. Once a couple are in your home, it is only a matter of time before you have hundreds of these apple seed-shaped bugs in your space. At Earthwise, we use heat treatments to kill off existing infestations of bed bugs and their eggs. Not only is this the most effective method of bed bug removal, but it also ensures that harmful chemicals are not being sprayed where you sleep. Rodents, whether they are mice, rats, or some other critter, are pests you definitely don’t want in your home or commercial space. Not only can rodents spread disease, if they are in a commercial space, they can scare away customers, cause you to fail health inspections, destroy inventory, or chew through expensive electronic cables. If you notice any signs of a rodent infestation, make sure to contact your Granite Bay rodent control experts at Earthwise. We will perform a detailed inspection to determine how and why the rodents are entering your property and create a plan of action to eliminate the current infestation and prevent new critters from showing up. For your typical creepy crawlies, we offer general pest management services in Granite Bay that target the specific pest or pests that you are having problems with. These can include spiders, cockroaches, silverfish, mosquitoes, wasps, moths, ants, ticks, and many more. We treat each pest control call as a unique experience and will perform a thorough investigation of the property to determine the extent of the infestation and devise a plan to best treat it. Our method of pest control, Integrated Pest Management (IPM), involves a preventative approach where we determine which elements are attracting pests to your property, how they are getting in, and other factors and eliminate them. This offers a long-term solution to your pest problems. We also offer quarterly pest control to ensure pest issues are under control year-round. We know that when you discover there is a pest infestation in your home or business it doesn’t always come at the best times. Alternatively, there isn’t a lot you can do to prevent calling a pest management company. This is why we offer our services at very reasonable prices so that you don’t have to worry about breaking the bank by choosing to make your space sanitary and comfortable for all who spend time in it. As Granite Bay’s most trusted pest control company, you can feel comfortable knowing that we will do right by you every time you seek our pest management services. Our team members are vetted and trained so that you don’t have to worry about your property while we are visiting it. We also have a stellar reputation online so if you are curious about the quality of service our customers receive, feel free to check out the reviews that our clients have written about their experience working with us. When you decide to take your pest problems into your own hands, there is really no way of you knowing whether or not you are doing an adequate job. More so, there is no real guarantee that you are completing the job in a safe manner. Not only have the pest technicians at Earthwise Pest Management been trained on how to use pesticides safely and accurately, but just like every other pest control company, are regulated by state and national laws which help to protect non-target animals from exposure to the insecticides we use. It’s time for you to start protecting your home in the right way by choosing a pest control company that you know cares about your health and the health of everyone who spends time in your space. When it comes to getting rid of pests and keeping them away, there’s no better pest control company to call than Earthwise. Our method of pest control has been proven effective, and with over 200 5-star reviews, we are proud to be your Top Rated Local® pest management company. Fill out our contact form or give us a call to let us know what type of pest management services you are looking for!